Human-centered design (HCD) is a central focus of DAI’s. We’ve written extensively about how we work with our partners to follow this complex and time-consuming (but very important) process and even came up with a more concise, budget-friendly Lean HCD approach. 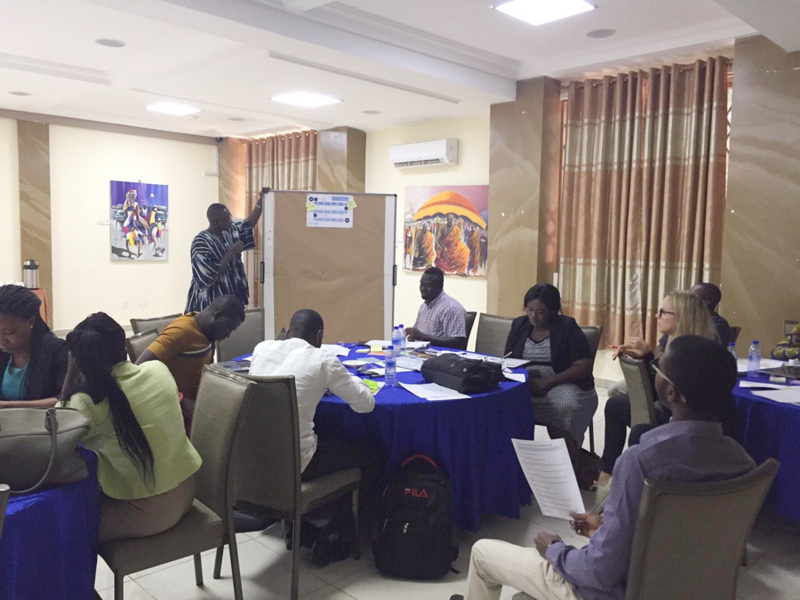 As part of our continued commitment to the approach, Karim Bin-Humam and I recently traveled to Ghana to run a workshop on HCD for the Sustainable Smallholder Agribusiness Programme (SSAB), implemented by Deutsche Gesellschaft für Internationale Zusammenarbeit (GIZ) GmbH. This was lean HCD on steroids: We asked participants to produce a HCD roadmap in just one day. Participants chose their methods from the ideo.org design kit. SSAB is commissioned by the Federal Ministry of Economic Cooperation and Development of Germany (BMZ) and implemented by GIZ to help smallholder farmers mainly in cocoa production in Cameroon, Cote d’Ivoire, Ghana, Nigeria, and Togo to increase their income and food supply from diversified production in a sustainable manner. Part of the programme is the sustainable scaling up of the Farmer Business School (FBS) approach, which was developed in 2010 by BMZ and partners. The FBS approach promotes the entrepreneurship and business skills of smallholder farmers through a five-day training course. 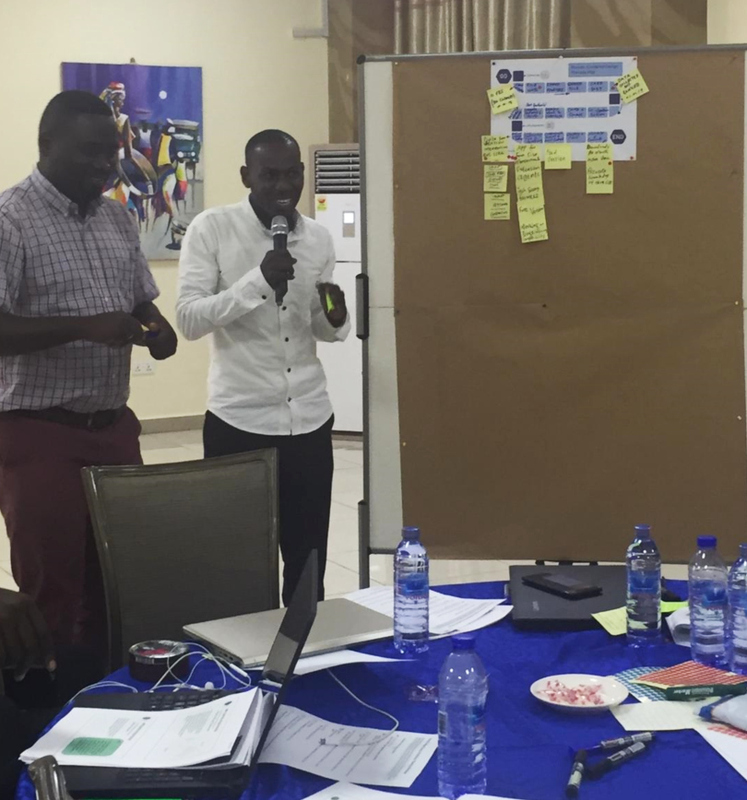 After being selected through an open competition, Ghanaian startup firm Agro Innova is working with the FBS Advisory Facility, a component of SSAB, to develop an app to support farmers in implementing some of the newly gained business skills and business knowledge from FBS training. The app is a tool for finance tracking (money-in, money-out) and farm management, encouraging smallholder farmers to become agripreneurs in practice. In light of this new venture, DAI was asked to facilitate a HCD workshop for SSAB, the programme’s national partner institutions, and Agro Innova to expose them to the user-focused approach in app development. The goal of the training was to give participants a one-day overview of the approach. By the end of day two, participants were expected to have come up with a concrete approach of how the app development process would follow the HCD approach. Anyone savvy in user-centered design knows that deciding on the process can take weeks or months to map out, but we wanted participants to come away with practical next steps to adopting a human-centered approach. After a full day of explaining HCD and going through some methods that can be used, we asked for each team to pick which methods they think would work for the FBS app HCD process, using the ideo.org design kit. For each method, they carved out who the stakeholders are; resources they will need; number of users involved; and answered a dozen other questions. We encouraged this level of detail, to ensure that teams were thinking through how each method would work for them and what outcomes it would bring for the app development. A team presents their HCD process map. Methods were plotted along a HCD process map and teams were asked to describe why each was selected and how the different methods tied into one another to create the outcomes required for project design and implementation. We had other team members play “bad cop” to constructively criticize their logic, find holes in their process, and make sure they had thought through each detail. Our “bad cop” hears a team’s process pitch. As we expected, the teams did not come up with a concrete process, but we were impressed with the detail with which they thought about each stage of their HCD journey. The roadmaps produced by each team were unique, each having a differing idea of which methods would help them achieve their goal. A good understanding of the different user groups: On day one we had developed user personas, and it was clear that the group understood their target audience. This meant they were able to keep users in mind during the planning, understanding what activities might best work for farmers, how to best reach them, and maintain these relationships. A good understanding of the technology and what would be needed to design it: Teams were split to ensure that someone from Agro Innova was in each group. They were able to provide vital insight into how prototyping works, the different design options, and information a tech entrepreneur needs. Different stakeholders in the room: This is the pivotal success factor. Participants of the workshop included the tech startup, members of the Ghana Cocoa Board, staff of the Ghana Ministry of Food and Agriculture (MOFA), and GIZ staff of different projects. The diversity of participants was vital to the development of effective HCD plans, as each brought a different insight into the information needed from the process, who the key stakeholders are, and roles and responsibilities during each stage. This reflects the importance of involving disparate stakeholders in the HCD process itself. Based on some of the ideas generated at the workshop, Agro Innova has commenced design of the FBS app and continues to develop their HCD approach in collaboration with DAI.